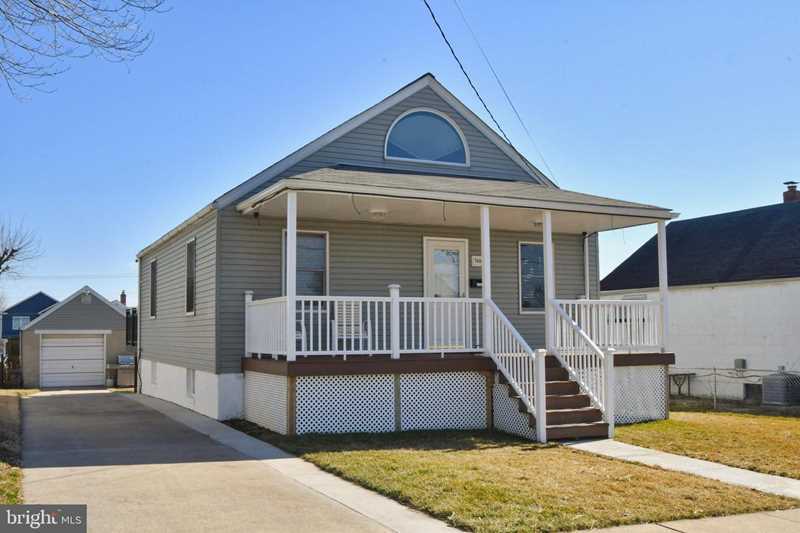 This tastefully renovated beauty has everything on your checklist and then some! Enjoy the shade of your covered front porch or take advantage of the sun on your spacious deck accessible from French doors off of dining room. Refinished hardwood floors lead into a brand new kitchen with granite countertops, stainless appliances and soft close cabinetry. Not one but TWO main floor bedrooms. Huge second floor bedroom with sitting room or easily divide and add that fourth bedroom or master suite bath. Plenty of parking on your concrete driveway with detached garage and bonus loft storage. High efficiency HVAC and water heater installed 2016. Roof approx. 7 yrs. Currently unfinished walkout lower level is immaculate with plenty of storage options and extra living/recreational space. Living room and bedroom walls pre-wired with HDMI, cable and electric for your wall mounted TV. This home has been meticulously cared for, from the maintenance free composite decking and rails with solar lighting to the hanging planter drip irrigation system on the front porch. You will be the envy of the neighborhood when spring arrives as owner takes exceptional care of this lawn. No detail has been spared. This is the one you have been waiting for! Directions:Merritt Blvd to right on North Point, Right onto Willow, left onto Spruce. Your new home is on the right! SchoolsClick map icons below to view information for schools near 7606 Spruce Rd Baltimore, MD 21222.